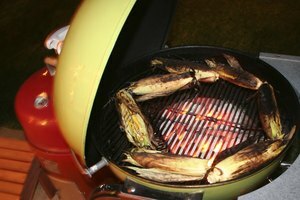 Propane stoves are very popular for outdoor cooking, especially for camping trips, because they use an inexpensive fuel that can be transported. However, these stoves must be used with extreme care and caution. 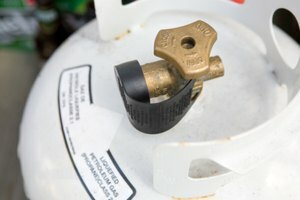 Anything involving an open flame must be treated with care; however, propane is a flammable gas stored in a very compact container, making it a very dangerous substance. Even small camping stoves that use the smaller, 16-ounce canisters have common safety procedures that must be followed carefully. A propane stove must be used out in the open air. 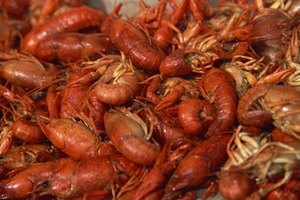 The flames from the stove will consume oxygen in the area, and this can lead to suffocation if used in enclosed areas. Don't use the stove in rainy or excessively windy conditions. Make sure the stove is a safe distance away from other equipment that can catch fire, like tents and sleeping bags, and clear the area of dry tinder and any loose brush. Place the stove on a level, nonflammable surface. If you must lay the stove on uneven ground, place a stove base underneath it; ceramic tiles or a license plate will work. Make sure the stove's valves are turned off before connecting the propane canister. Clean away any dirt from the connections with soap and a warm, damp paper towel or sponge and then dry them completely. To check for leaks, apply soapy water to the connections with the canister attached, turn on the gas slightly and look for bubbles. Always check for the smell of propane (a rotten egg-like smell) to indicate possible leaks. Keep your fingers to the side of the burner and any loose clothing away from the flame when lighting the stove. 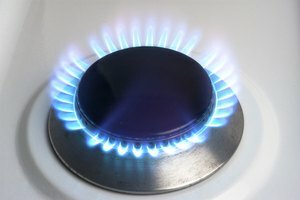 If the stove flame does not ignite immediately, turn the gas off, wait for the gas to clear away and then try it again. Never leave the stove unattended while the flame burns. Disconnect the canister once you are finished using the stove, making sure the flame is completely extinguished before you do so. Keep the stove in a clean, dry place and cover it when not in use. Never transport the stove with the propane canister connected. The canisters themselves should be stored upright and in a place where they can't be knocked around. 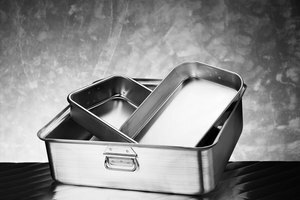 Don't store the canisters in a car trunk or any place where the temperature can exceed 120 degrees F. Keep the stove, canisters and all other related appliances away from children.